In the early morning (7 am) we pick you from the guesthouse or hotel of your choice and leave for the South West of Uganda. The first part of the journey takes us through central Uganda, and after a stop in Mbarara for lunch, we continue on the last stretch through a beautiful landscape also defined as the “Switzerland of Africa”: mountains, lakes, hills with cultivated terraces, tropical rainforest and bamboo forest. On the last hill the landscape unfolds beneath us, taking in the vast planes between Uganda, Rwanda and Congo, with the Virunga volcanoes dominating the view. At the bottom of the valley is Kisoro, where we will stay at the famous Travellers Rest Hotel. You will travel by car from Travellers Rest Hotel in Kisoro to Nkuringo, in the southern part of Bwindi Impenetrable Forest NP (1hr). Once there you will first receive a briefing (7.45am) and at 8.30am you will start the tracking. Once you have found the gorillas, you will be able to spend up to one hour with them! You will be expected back to the starting point by 7.00pm at the latest. Being physically fit is recommended. The 3rd day will be spent in and around Kisoro, with Travellers Rest Hotel as the home base. Visitors on the Luxury Tour will travel from Bwindi Impenetrable NP to Kisoro on the day (± 5 hours’ drive through beautiful landscapes). Gorilla tracking in Mgahinga (1 day). NB: the gorilla in Mgahinga move around so the Uganda Wildlife Authority doesn’t sell permits in advance – you have to take your chance once you are in Kisoro. Gorilla tracking in Rwanda. NB: if you are going for the 2nd gorilla trek in Rwanda you will be transferring to Rwanda on day 2 after trekking in Uganda, and spend a night there. After the trekking you will cross back to Kisoro (1 day). Climbing Muhavura Volcano (± 8 hrs; distance 12km; height 4127m; elevation gain 1700m). Climbing Gahinga Volcano (± 6 hrs; distance 8km; height 3474m; elevation gain 1100m). Visit to Sabinyo Gorge (± 4 hrs; distance 6km, no elevation gain). Climbing Sabinyo Volcano (Sabinyo has three peaks, you can climb all three in the same walk, but you need to be fit!! ± 8 hrs; distance 14 km; height 3669m, elevation gain 1300 m). Hiking in Mgahinga to the viewpoint and Garama Cave (pygmy cave) (± 4 hrs; distance 1 and 4 km). Bird walk in Mgahinga (start at 10am, it can last until 4-5pm). Walk to Lake Mutanda. Visit Python island and go canoeing on this beautiful lake. Batwa Trail: It starts at the base of Mt Muhavura at 8.00 am and finishes by 3-4 pm. You’ll need walking shoes, hat, and raingear, and a packed lunch with sufficient drinks.The Batwa Trail runs across the lower slopes of the Muhavura and Gahinga volcanoes in Mgahinga Gorilla National Park. 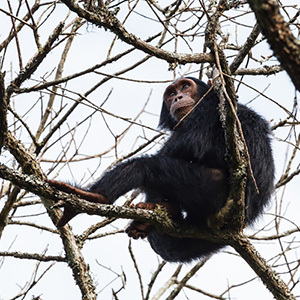 The forest is home to a variety of wildlife but the Batwa Trail is far from being a conventional nature walk. With the help of Batwa guides, you’ll see the forest as a larder, pharmacy, builder’s yard, tool kit and, above all a home. Along the trail, you’ll fire a bow and arrow, check hives for wild honey, help repair a Batwa shelter, harvest plants for medicine and food, light a fire without a matches, listen to legends and learn about Batwa traditions.The highlight of the trail is a descent into the Garama cave, a 200m-long lava tube beneath Mt. gahinga. The Batwa are famed for their music and dance and their historic, subterranean council chamber in Garama Cave provides the setting for an unforgettable performance.The Batwa trail is celebration of the forest culture of the “‘first people.”It is impossible, however, to ignore the fact that Batwa life has greatly changed. The day’s events conclude with a discussion about the Batwa’s current situation; how it can be improved; and progress to date towards doing so. Or just sit and relax or read a book in the garden of Travellers Rest Hotel! Follow this link for more information about activities in Kisoro. We will then bring you to a guesthouse, campsite or hotel of your choice in Kampala or Entebbe – or, if you continue your holiday somewhere else or back home, we will bring you directly to Entebbe airport for an onwards flight.